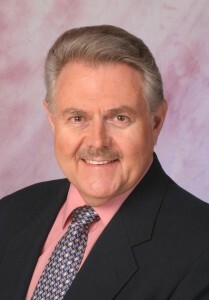 Darrel G. Hubbard is President of D.G.Hubbard Enterprises, LLC providing executive consulting and assessment services. He has over 50 years of experience in consulting, line management, and technical positions. He has served as a corporate executive officer; managed the due diligence processes for numerous mergers and acquisitions; managed information technology, proposal, accounting, and project control organizations; was a program manager on engineering projects; has served as a project manager on commercial projects; and a designated “key person” under government contracts. He has also held executive positions in the securities, insurance, and business con¬sulting industries. He assists organizations, as a Project Business Management Organization (PBMO) Subject Management Expert (SME) advisor, to achieve their enterprise’s strategic business and tactical objectives. He provides analysis of their management structures, business processes, general business operations, and project management capabilities, while supplying specific recommendations on business, methodology, and process improvements. Mr. Hubbard also assists companies, as an outside third party, with the intricacies of the due diligence process in their merger and acquisition activities. He also supports companies in the managerial development and establishment of their Project/Program/Portfolio Organizations (PMOs) and delivers workshops and seminars focusing on the business management aspects of project management. Mr. Hubbard holds a bachelor’s degree in both mathematics and physics with a minor in chemistry from Minnesota State University at Moorhead. He is a registered Professional Engineer in Control Systems in California. Mr. Hubbard joined the Project Management Institute (PMI) in 1978 (#3662), is a charter member of the PMI San Diego Chapter, and was deputy project manager for the Project Management Body of Knowledge (PMBOK®) Guide Third Edition ANSI Standard by PMI. He was the Exhibitor Chairperson for the 1993 PMI North American Congress/Seminar/Symposium, is a published author of many articles, a presenter at several PMI Congresses and other Project Management Symposiums, and a guest speaker at PMI and IIBA Chapter meetings. Mr. Hubbard is also a Life-Member of the International Society of Automation (ISA). He can be contacted at Darrel.Hubbard@dghellc.com, and http://www.linkedin.com/in/DarrelGHubbard. Visit www.PBMconcepts.com for information about current and future book projects.